We had heard many wonderful things about Turkey – its beautiful beaches, amazing Turkey sights and friendly people – however, only after experiencing a holiday there, did we realize why people keep returning – year after year. We had made a choice between several cheap international flights and finally decided on one going to Bodrum airport, from where we carried on straight away with a coach to Kusadasi, our final destination. Kusadasi is a resort town on Turkey’s Aegean coast, popular with day trippers as well as holiday makers. The streets are bustling with people, and even walking from the beach to your hotel can be an assault to your senses, as the smells and sounds are so different and exotic. For those who love bargaining, this place is heaven – you can find some amazing handicrafts and jewelry, as well as dirt cheap rip-offs – but one thing is for sure, it’s impossible to leave this place without having bought something..! We spent most of our days sunbathing at the different beaches, and our favorite was Ladies’ Beach, a very popular beach with an interesting history. Not to far from Kusadasi is Ephesus – it is the best preserved ancient city in the Mediterranean region built on a small hill and one of Turkey’s top sights. It is hard to describe the feeling while walking along that archaeological site, looking at the remnants of the famous library, the grand theatre and the “Church of Virgin Mary”. The famous footprint which points in the direction of the brothel is also a classic not to be missed. 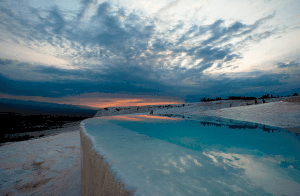 Going to Turkey without visiting Pamukkale would be a big mistake. You can see pictures of the place, but nothing can be compared to live experience of this unique natural wonder. It is known for its perfectly white travertines , the ancient city Hierapolis and Cleopatra’s own spa. To have a swim in her own bathroom you have to pay extra, but you can enjoy some beautiful small ponds with clean and slightly blue water for free. If you decide to visit Kusadasi, or any other city in Turkey, be prepared for a slightly strange traffic jam, where the rules are set by the vehicle with the noisiest honk. Dolmuses or mini buses are the easiest way to get around the city – you just need to wave and they will stop wherever you are. After spending 11 days in Turkey, we were more than satisfied with our choice but also very aware that Turkey has so much more to offer and that is the reason enough for us to go back again. Located on the outward southern curve of Turkey’s Mediterranean coast, Kas is an unspoiled little fishing village. While tourists visit this charming settlement, it still has not given into the usual tourist frills. Its lush and lovely mountains are decorated with enchanting houses and winding roads which leads to the gorgeous and crystal clear beach. With picture postcard scenery, you can often see trailing vines of fuchsia bougainvillea flowers overflowing from market fronts and terraces in homes. Besides its breathtaking views overlooking the Mediterranean Sea and the village, there are many things to do and see. Here are four activities you won’t want to miss. This is actually a smaller beach with very large pebbles. 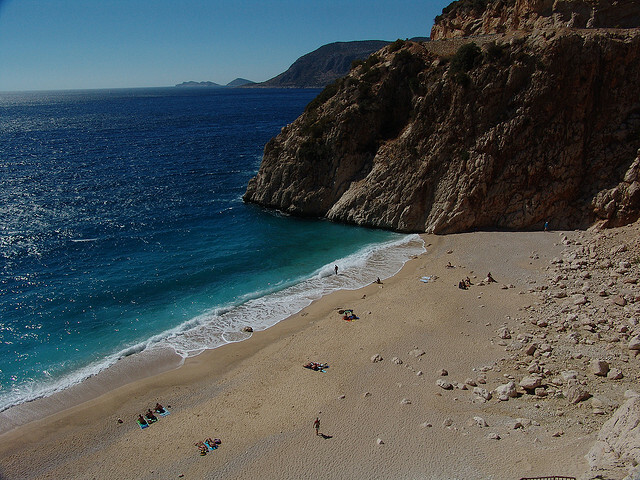 It is about a five minute drive from Kas or 20 minute walk. In the summer there is dolmus service (a minibus and less expensive than a taxi) which runs about every hour. There are many restaurants and plenty of chairs for those wanting to just absorb the turquoise water or let your mind wander and relax. Going back to the 4th Century BC, the Lions Tomb is the most photographed site in Kas. 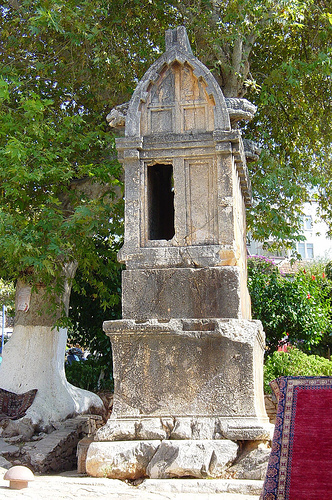 Located right in the center of this town, this ancient tomb is carved from a single block of stone which reveals rare Lycian inscriptions (one of the few which exists). Another site to see is the 4000 seat Hellenistic Theater which is 700 years old and often is a site for small concerts by local musicians. This overlooks the glorious sea and if you climb to the top you will get a photo perfect view. Be sure to pack your water gear as Kas is probably known as one of the best places for scuba diving and other water sports such as canoeing and paragliding. With average temperatures and breathtaking blue water, you can easily locate a diving site which range from caves to underwater canyons. One particular site of interest is the Uluburun shipwreck. Researchers say this wreck happened about six miles of the coast of Kas and dates back nearly 2500 years! 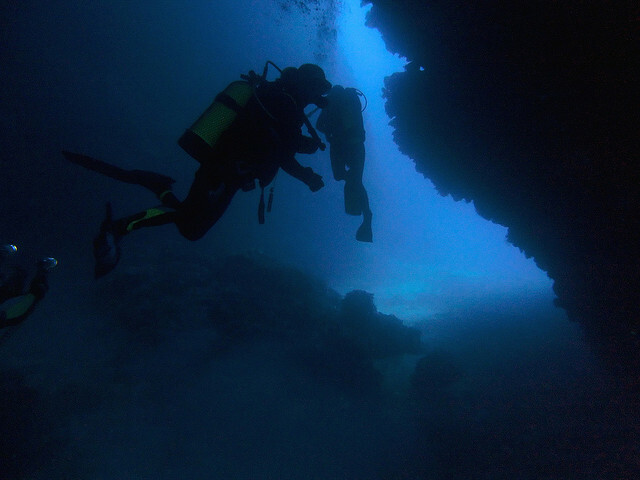 With more than 25 sites available for diving, you can find locations which provide scuba diving lessons. There are also plenty of places that rent diving equipment if you can’t fit yours in your luggage. This small harbor is accessible by boat. A must to see, it offers a castle in which when you walk to the top, it offers unimaginable views. Turkey has many associations, all different depending on who you ask. Some think of crazy partying and beach life, others think of ancient theaters and exotic belly dancers. I have visited Turkey several times, and it offers so much for many types of people, from newly-weds looking for romantic honeymoons – to the crazy adventurer, and the lazy beach lover. Whatever you’re looking for, you can probably find here; history, nature and culture are all mixed together. When you search for turkey holidays online you find some of the most amazing ideas – from amazing crystal clear water, long stretching beaches, romantic restaurants and beautiful nature. But try a Mediterranean cruise. The typical tourist hubs Alanya and Antalya makes it possible to be in Turkey without really realizing it, but if you’re looking for more than fake label clothes and cheap “fish bowl” drinks, you don’t have to travel very far to experience the real Turkey. If you want to see some of the most impressive remnants of Turkey, I really recommend a visit to Ephesus. Ephesus is the best preserved ancient city in the Mediterranean, and you can really get a feel for the way they used to live. Established in 6000 BC, the city was built around a temple, and in the 1st century BC it was the second largest city in the world. Ephesus has a really interesting history, and it’s fascinating walking around the ancient remnants of the library, temples, theater, latrine and even brothel! If you’re looking for some adventure holidays, there is a place about half an hour from Ephesus where you can try sky diving for a reasonable price. However, one of the most fun adventure things to do in Turkey is, in my opinion, white water rafting. There are plenty of places to do this, and you can choose yourself where you want to go depending on how dangerous you want the ride. The rafting here varies on a scale from 3 to 5. A night at a restaurant with Turkish belly dancing show will definitely be a memorable one. Turkish belly dancing is influenced by Arabs and Egyptians, although the Turkish style is much more playful. But really, these women can move in ways few people can, to a difficult but rhythmic beat using finger cymbals, and if you’re a girl who loves all things of glamour and glitter, you’ll love their outfits! Another way to experience the Turkish culture and traditions is to try a traditional Turkish bath / Hamam – it’s similar to a sauna, but more related to the ancient Roman bathing practices. They even have these cushions exfoliating your skin with foam, splashing hot and cold water over your body – what fun! Turkey is an incredible country to explore, being the gateway between the east and the west. There is a fascinating blend of cultures within the country, which means there are lots of fascinating historical and cultural attractions in Turkey to explore. The Byzantine and Ottoman empires have both controlled Istanbul in the past and it is these two societies that have had the biggest impact on its development. 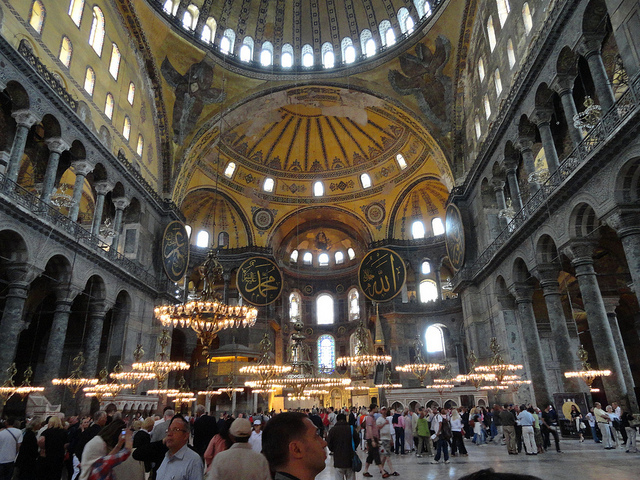 Hagia Sofia is a fantastic example of how Turkey’s cultural heritage blends into one. The building was originally constructed in the 6th century as a church, was later converted to a mosque and now serves as a museum. Inside are some breathtaking mosaics, while next to the main building are several tombs belonging to Ottoman sultans and their families. This museum is also housed in historical surroundings – namely two buildings dating from the time of the Ottoman Empire that are located in the ancient citadel. Its exhibits focus on every part of Turkey’s history, making it a fascinating place to explore. Artefacts from the Neolithic, Paleolithic, Hittite and Uratu eras are among the things on show here, with the museum’s entire collection covering every civilization that has had a presence in Anatolia over the centuries. The ruins of the ancient city of Xanthos, once the capital of Lycia, are a UNESCO World Heritage Site and a brilliant place to explore when you’re on holiday in Turkey. The remains of the city are easily accessible from some of the country’s top seaside resorts, too, so it’s a good choice if you want to inject a bit of culture into your beach break. Although there are few structures still standing, you can clearly make out what’s left of the homes, temples and streets. The funerary monuments are the most complete things left at the site and are quite intriguing. They stand over the ruins and are a fantastic example of Lycian design. Xanthos is also important because some of the longest inscriptions of the Lycian language ever found were discovered in the remains of this city and at the neighboring site of Letoon. 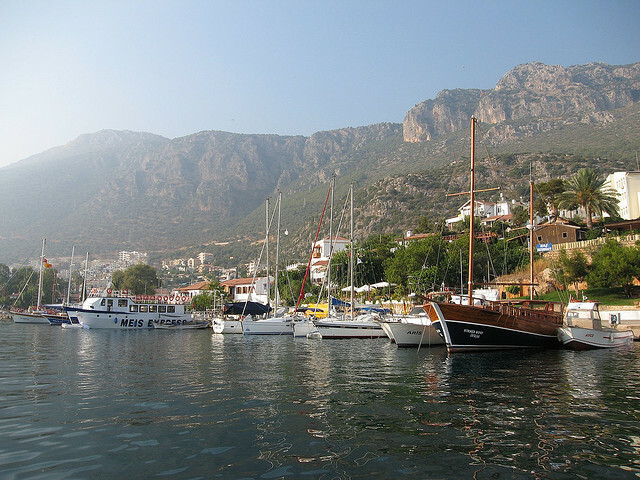 Due to its long stretches of coastline, Turkey has been a famous seafaring nation throughout history. One place where you can learn more about this side of the country, as well as uncover fascinating stories from the past, is at the Bodrum Museum of Underwater Archaeology. This museum is housed in Bodrum Castle and showcases artifacts recovered from shipwrecks off the Turkish coast, in addition to exhibits where you can see the remains of wrecks that have been raised from the seabed. For instance, the Uluburun, which was excavated between 1984 and 1995, is on show here. This wreck dates from the 14th century and it was carrying a cargo of copper and glass ingots when it sunk. This is just an overview of a few of Turkey’s top cultural attractions; there are many more just waiting to be discovered on your next holiday to the country. Planning a trip to Istanbul is the beginning of a great adventure. If you are going to Istanbul, Turkey in the near future, there are a few things you are going to want to keep in mind. For starters, just like any other city in any other country, there are some areas that are safer for visitors than others. Because of this, make sure you spend some time researching the attractions you would like to see. It’s important to find reviews about different hotels written by people who are in the same area in the world as you are. 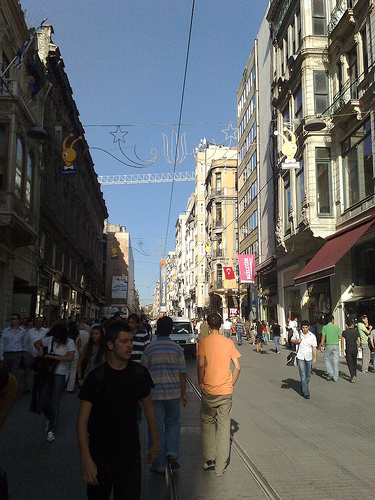 Many travel to Turkey and Istanbul but will have a different frame of reference than you. By reading what they have learned, both negative and positive, you will be able to create a clearer image of what you should expect upon arrival. Be on the lookout for similar reviews from several people. Chances are that if several people have all noticed the same situations, they will more than likely be a part of your experience also. You will also want to remember that Istanbul Ataturk Airport is the third busiest airport throughout Europe. Whether you are coming or going, don’t expect to be in a hurry. You are not going to be able to talk your way past any of their entry or security measures. If you are going to this part of the world, you are already aware of some of the threats they deal with on a day-to-day basis. Let the security and airport officials do their job. Plan ahead and bring something to read. Another great thing to bring is something to safely carry your passport. Regardless if your trip is for business or pleasure, there are a few things about the local culture you will want to remember. If you are a lover of any food containing meat, do yourself a favor and stick with the amazing restaurants and cafes Istanbul has to offer. While a street vendor’s accessibility, convenience and authenticity will be enticing, consider the fact that they do not have a reputation to protect. You will also want to be sure to bring shirts and upper body clothing that can be worn in layers. While the temperature will be warm enough while the sun is out, the temperature falls drastically as soon as the sun goes down. You should also take the time to check out the predicted forecast for the duration of your visit, due to how much the weather can change in a matter of hours. If you plan on doing a lot of sightseeing during your trip, there are two items you will need that you might not think of. Due to the fact that there is a charge to enter the majority of public restrooms, be sure to carry around plenty of spare change. Don’t just expect that the correct change will be available to break larger bills. Also, you will need to provide your own bathroom tissue. Because of this, make sure you have an extra roll or two packed in a backpack. According to Book Taxi Istanbul, finding a ride is not something you will need to worry about. Regardless if you are traveling from airport to hotel, making the rounds through the city, or even traveling throughout Turkey, you will always be able to find a friendly driver ready to get you where you need to go. 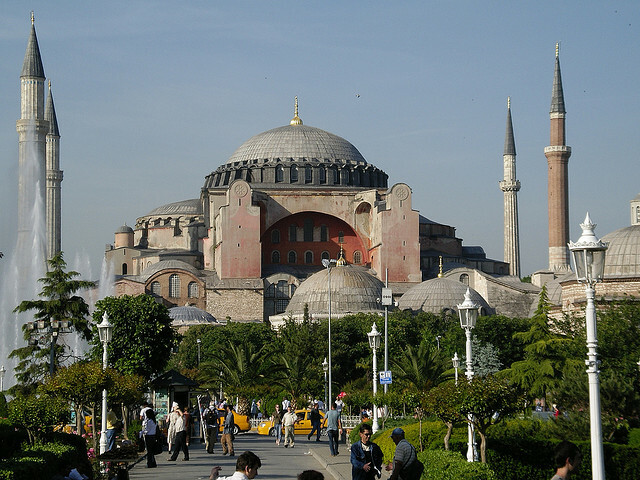 When planning a trip to Istanbul, take advantage of the internet and travel guides to arrange your trip. Always use common safe, no matter what the referrals, reviews or recommendations. A summer choice for many holidaymakers, why not go against the grain and explore what Turkey has to offer around this time of year. A blazing sun and fiery cuisine offer the perfect getaway for this time of year. But it was so worth the detour to Istanbul – it was one of my absolute favorite stops on the trip – with its quirky personality, colorful culture and long history, Planning a trip to Istanbul really enchanted me! No wonder all the neighboring countries have been so influenced – who wouldn’t be inspired by this country?! Istanbul was a place full of crazy experiences, and just like in Asia, you can walk outside the door and five minutes later be somewhere completely different than first planned. Istanbul was a city with surprises around every corner, from shoe shiners with their beautifully designed shining copper tool box to people selling water melon from wooden wheelbarrows. 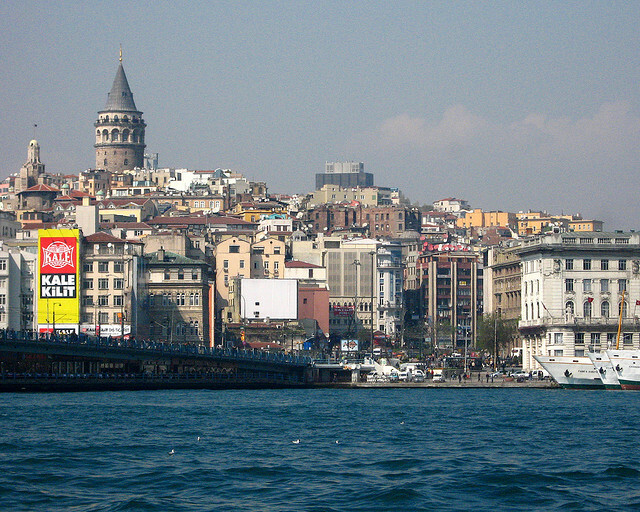 Istanbul is more than just geographically located in both Europe and Asia, their whole culture is a mixture of both. The city felt very different from Europe, and I could see why the nearby Balkan countries had become so influenced by the Turkish culture; there was something so captivating about everything. The rug shops, the glimmering mosaic lamps, the Turkish tea being served everywhere and the chanting from the mosques several times a day made you feel like you were in a whole different part of the world. Istanbul is a tourism hot spot. Bus loads of tour groups visit everyday, you see hands sticking up with umbrellas and flags to guide their groups from their hotels everywhere, and the harbor is frequented by cruises every morning and evening. Perhaps we noticed it so much because it was such a contrast from the previous countries we had been to. 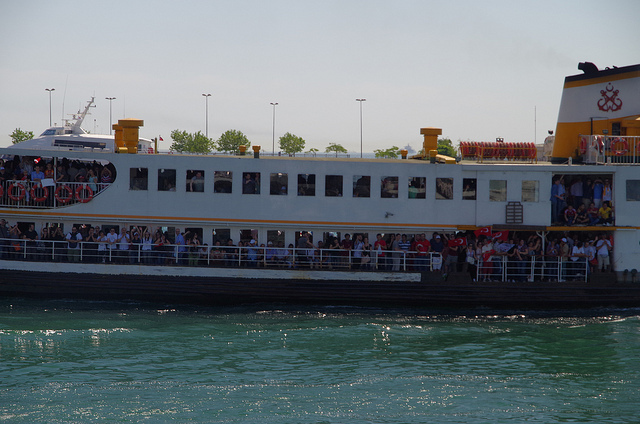 But the great thing about Istanbul was that the city had adapted so well to tourism. They know exactly how to butter up the tourists, but at the same time they are not pretending to be something they’re not, and they don’t change their habits, culture and goods to please you. What you see in the shops is what you see in their homes. The handicrafts, Handmade Turkish Rugs, and water pipes is what they prefer themselves, the Turkish pop music or traditional live bands you hear and see is what they listen to themselves, not a show for tourists (although they do know that it’s appreciated). Istanbul was a place full of experiences, and just like in Asia, you could walk outside the door and five minutes later be somewhere completely different than first planned. Istanbul was a city full of surprises around every corner, from shoe shiners with their beautifully designed shining copper tool box to people selling melons from wooden wheelbarrows. While they had preserved their traditions, they were in many ways very modern. For example it has the cleanest and most modern trams I’ve seen, which run next to boys dragging wooden carts of fruit and nuts down the streets. That’s the best way I can describe how East meets West in this city – modern mixes with old-fashioned, like pet food mixes with Egyptian spices in the spice market. It’s all mixed up in a big melting pot of culture and we LOVED it! Istanbul, Turkey is one of the world’s most intriguing cities and it is always exciting to see Istanbul by Day Istanbul by Night. It is a metropolis steeped in history and a veritable cultural melting pot, with Muslim, Jewish, Greek and Armenian populations all leaving their own unique stamp on the city. With the western half of the city being part of Europe and the eastern half located in Asia and divided by the waters of the Bosphorus Strait, Istanbul is a place where East truly meets West, which is one reason Turkey holidays are so unique. And with so many sites to see in what always seems like so little time, it’s important to make the most of every minute of Istanbul, Turkey is one of the world’s most intriguing cities and it is always exciting to see Istanbul by Day Istanbul by Night in this enchanting city. By day, the sites of Istanbul are far too numerous to cover in just one visit, especially if you’re in search of a sprinkling of culture. The city is teeming with cultural intrigue and landmarks from days gone by. Located directly across from Aya Sofya, the Blue Mosque’s striking, domed silhouette is unmistakable, dominating the Istanbul skyline. 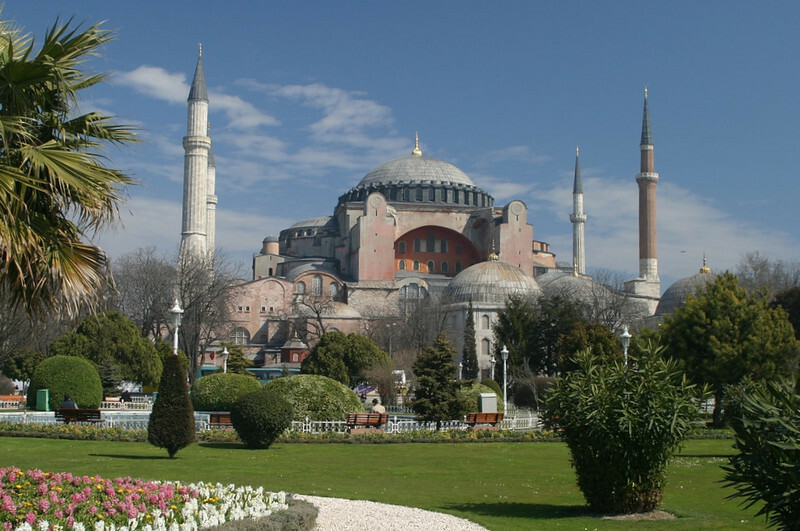 The Blue Mosque has the prestige of being one of only a few in the world to have six minarets. With walls decorated with fine iznik tiles, it pays homage to traditional Turkish architecture and was designed by renowned architect Sedefkar Mehmed Aga in the 17th century. Not only is the mosque a feast for the eyes, it also has a great deal of historical significance, being home to the tomb of Sultan Ahmed I. After you’ve basked in the majesty of the Blue Mosque, Topkapi Palace is an absolute must-see for those looking for a glimpse of how the other half lived in Turkey. Topkapi, over the years, has been home to generations of sultans and their wives, as well as a breathtaking amount of treasure, which still resides there. The great thing about taking a trip to the Palace is that it can be enjoyed at your leisure in a simply stunning setting. The network of lush green courtyards creates a beauteous background for the Palace and makes for a great setting in which to enjoy the picturesque view of the Sea of Marmara, the Bosphorus and Golden Horn. Whether you’re visiting Istanbul for the day or planning on staying a little longer, you’ll feel yourself drawn, almost magnetically, to the Grand Bazaar – a market that is distinctly Turkish in character and unforgettable in nature. 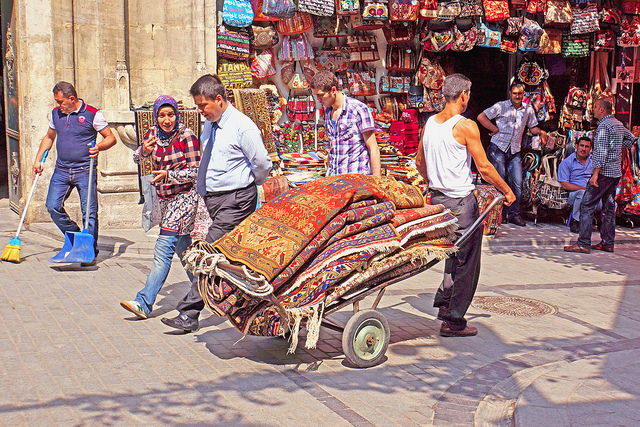 The 500-year-old market is packed to the rafters with shops and stalls – over 3,000 in total – stocking everything from hand-woven towels and artwork, to trinkets and Turkish rugs. The quality of the artifacts on offer is exceptionally high and the market is home to some truly skilled craftsmen, but it’s the sights, smells and ambiance of the place that makes it so appealing and unlike anything you’re likely to have experienced before. And once you’re done with shopping, there’s an array of restaurants where you can grab a quick spot of lunch, sampling a wide range of meats or ‘dolmas’, a mixture of aubergines, red peppers, rice and herbs. It’s astounding how many holidaymakers manage to find their way to Istanbul, but don’t take the time to explore the Asian side of the city in much depth. While some of the delights of the Asian side of the city may not be as immediately obvious as the cultural wonders of the west, taking a short ferry ride across the Bosphorus and setting foot on another continent is certainly worth considering, especially if you’re looking to get away from the hustle and bustle of some of Istanbul’s more popular tourist attractions. The Kadikoy district of Istanbul, on the city’s eastern side, may not be home to all manner of cultural and historical beacons, but the new-age, hip feel of the area makes it worth the visit. The district is full of cafés, bars and small local shops and has a relaxed pace of life. Indeed, grabbing some bread, cheese and baklava while sat outside a café is the perfect late afternoon activity. Once rejuvenated, you’ll be ready to wring every drop of enjoyment out of the night that lies ahead. Galata Tower in Beyoğlu may draw all of the plaudits with its exquisite views of the modern part of old Istanbul, once home to the city’s foreign residents, but when the sun begins to slowly set in the Istanbul sky there only one place to head: Galata Bridge. With so much going on in Istanbul, you’d be forgiven for being more than a little tired after spending the day exploring it. To recuperate a little before the night really begins, it’s best to find yourself a nice little restaurant where you can enjoy all of the delights of Turkish cuisine. Seafood lovers simply must try the hamsi, with freshly caught anchovies at its center, while meat lovers will find themselves salivating at the very thought of grazing on Hunkar Begendi, which dates back to the Ottoman Empire and is derived from chunks of lamb or chicken served on top of pureed aubergine. With a full stomach and (hopefully) a little more energy, it’s time to find the perfect place to head out to and bring your perfect day in Istanbul to a fitting conclusion, and there’s only one place to do that: Nardis. 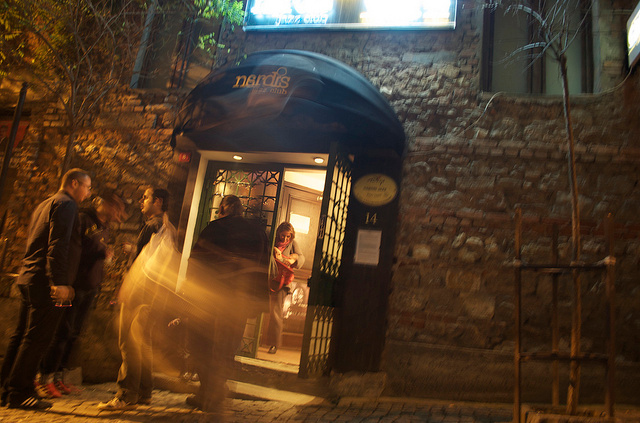 Nardis, located near the Galata Tower in Beyoğlu, is Istanbul’s premier jazz club and there are live performances to be soaked up six nights per week. The type of jazz you’ll find varies each night, from traditional right through to modern, but the relaxing ambience, comfortable seating and sophisticated style of the place is constant. 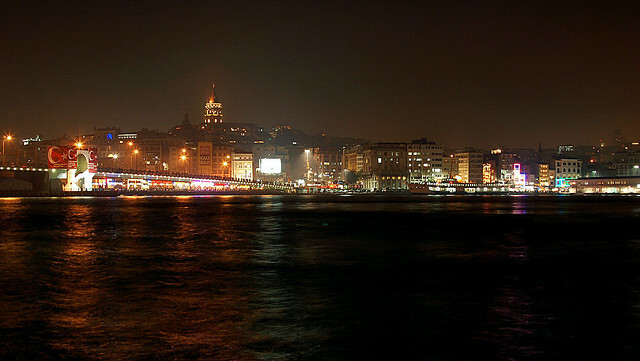 Once you’ve enjoyed a few cocktails and find yourself tapping away to a little music, while reminiscing about the sights, smells and sounds that you’ve enjoyed during the day, you’ll truly understand why legions of holiday makers have been drawn to Istanbul by Day Istanbul by Night for so long. Two regions spanning across the European and Asian border, Canakkale lies on the narrowest point of the Dardanelle Strait. It is south from the touristic capital of Istanbul. Host to a budding university crowd and lively nightlife, the city has also played host to many ancient settlers, most famously the Trojans. Meanwhile, the Gallipoli Peninsula sits on the opposite banks, a poignant landmark in 20th century history. Here, the Battle of Gallipoli took place. Gallipoli Tours can take you to some of the many monuments dotted across the region. Founded over 4,000 years ago, these ancient ruins are home to a replica of the legendary Trojan horse, used in battle to smuggle warriors into the enemy’s fortress. The site may not be as awe inspiring as some of Turkey’s other historical locations, but the UNESCO World Heritage site, since 1998, is worth a visit. It is open daily and located close to Canakkale. German archaeologist, Heinrich Schliemann, discovered Troy in the late 19th century. Excavations began in 1871 and have been ongoing. 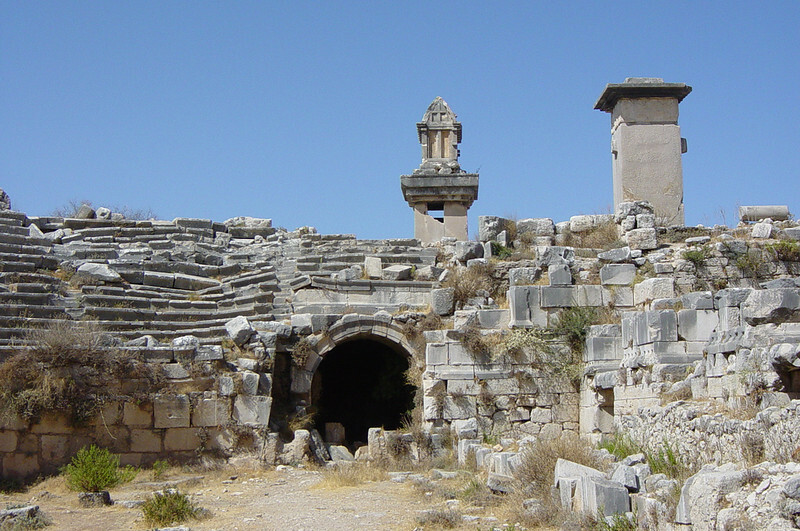 Troy, or Truva in Turkish, dates back to 3,000 BC. Once a prosperous trading port, it is a complex combination of 9 ancient cities. The ruins of each city lie upon the remains of the last. While parts of the site are still largely overgrown, you can still enjoy a stroll through the old stones and typical amphitheater and imagine how it was to live many millennia before. 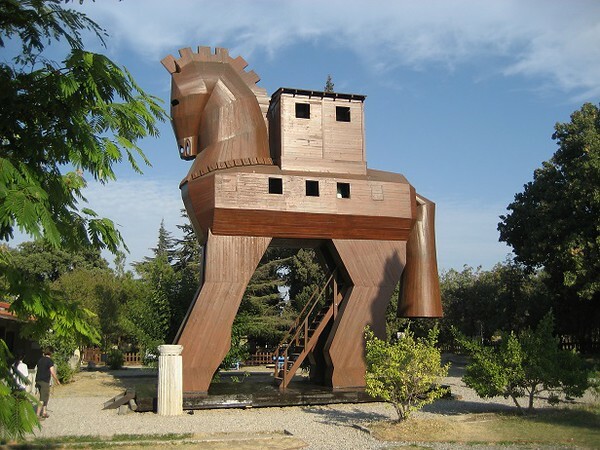 While this is not an original Trojan structure, the over sized wooden horse that stands on Canakkale’s seafront is the actual model that starred alongside Brad Pitt in the popular 2004 movie of Troy. As you take a walk along Canakkale’s pretty promenade, you will be sure to pass this modern monument which typically surrounded by locals and tourists posing for photos. The village of Kilitbahir, located on the opposite banks of the Dardanelle Strait, takes on the name of the fortress that dominates the nearby hill. 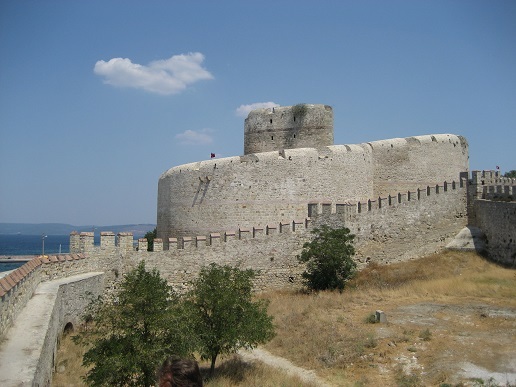 Built by Mehmet the Conqueror in the 15th century, additional fortifications were added in the 16th century. The castle remains in incredibly good condition. Today you can take the car and passenger ferry from Canakkale harbour and walk from the village to the turrets of Kilitbahir for pleasant views over the region. Within the city center of Canakkale,you have some interesting places to visit. The town boasts an extensive Military Museum on the waterfront. History buffs will certainly want to visit for the full explanation of the events that took place during 1915. You can see antique artifacts in the inside display. 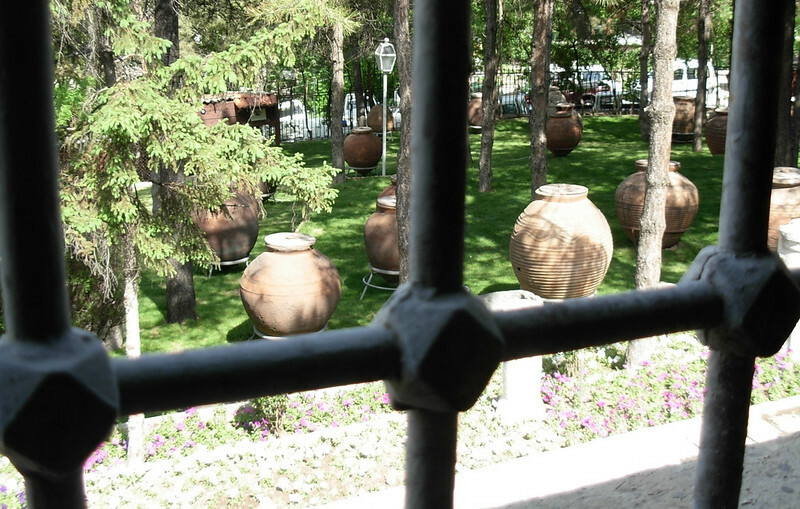 The museum itself sits in the center of a park that is dotted with equipment of the Ottoman military. You may also want to stop by the Archaeological Museum, Ceramic Museum, and the grand Clock Tower. You will see scattered eateries and bars along the old town streets. Young and lively crowds fill them in the evenings. On the outskirts of Canakkale is a 15th century Ottoman castle, Cimenlik Kalesi. The impressive fortress still houses original cannons within its tough stone walls. Inside you will see paintings depicting the Battle of Gallipoli. 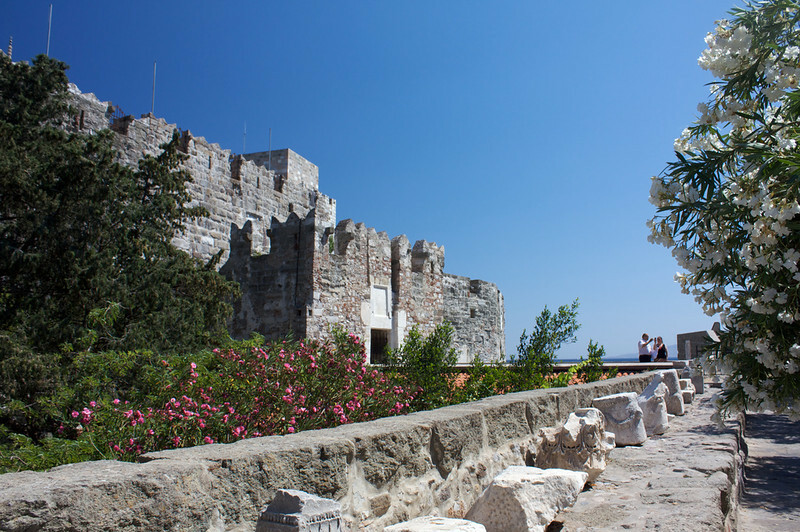 Make sure to bring a camera because Cimenlik Castle also offers good panoramic views. The Dardanelle Strait connects the Aegean Sea to the mouth of the Marmara Sea. It divides the European and Asian continents and earned its name from the World War I Dardanelles Campaign. Taking the regular car ferry between Canakkale and Eceabat on the Gallipoli Peninsula gives you the unique opportunity to cross from one to another and enjoy the views to either sides of the channel. The coastline on both sides is home to both ancient and modern historical sites. International tourists tend to visit these less frequently. This was the original landing point of the Australian and New Zealand Army Corps on April 25, 1915, when the battle to control the Black Sea’s trading route began. It was the main base for the Allied forces until they evacuated in October that same year. Close to the bay is at least one sunken Warcraft. It still sits below the crystal-clear waters. You can see it by boat and snorkel or dive over the wreckage. The Gallipoli Peninsula is scattered with monuments of the brave soldiers who died during the many battles. The peninsula is of great importance in modern history and draws visitors, particularly from Turkey, New Zealand and Australia. These sites are located fairly close together and close to the original trenches and battlefields. Lone Pine Memorial: This memorial stands upon a hilltop and is dedicated to the 1,167 deceased members of the Australian forces. Among these are the graves of 504 unidentified soldiers. Chunuk Bair: New Zealand’s Memorial, where troops were held captive above Anzacs Cove. Turkish 57th Regiment Memorial: Here’s where the Turkish forces were repeatedly attacked and suffered most with losses. 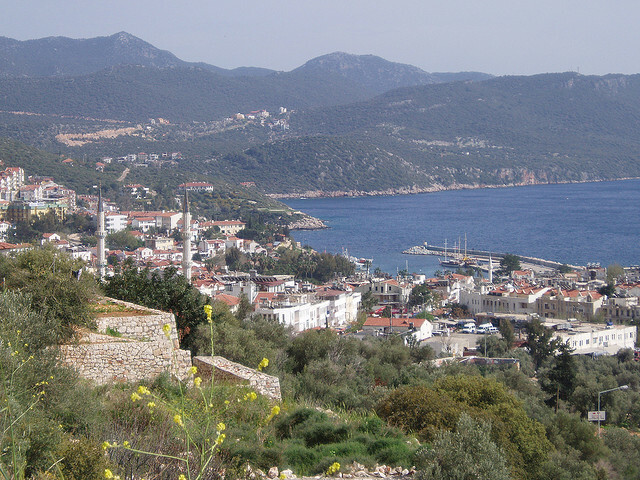 The Gallipoli Peninsula is home to various small towns. Most offer basic accommodations and restaurants, none have grown into large cities or tourist resorts. Therefore, they each maintain their Turkish authenticity. The town of Eceabat has found a happy balance between local life and tourism, with connections to points of interest on the peninsula and regular ferries across the channel. Eceabat has a charming waterfront and is a quieter alternative to Canakkale. When you need a break from visiting ancient cities, battlefields, and monuments, you might want to take the 75-minute ferry from the village of Kabatepe, on the Gallipoli Peninsula, to Gokceada Island. You will enjoy pristine sandy beaches and rich blue water. You will enjoy seeing olive orchards, lush green hills and a touch of Greek architecture. The island is a blissful retreat from the modern world. Aydincik Beach is one of the most popular and fills up with weekend visitors from Izmir and Istanbul. On the island you can visit some of the rural villages and find plenty of opportunities for water sports and trekking. During the last weeks of April, the Gallipoli Peninsula routinely becomes crowded with international and national tourists who come to pay their respects during the April 25th memorial service. The ceremonies typically begin in the early hours of the morning, as the sun is rising, and continue until midday. People come to visit the Lone Pine, Chunuk Bair, and 57th Turkish Regiment Memorials. The beautiful seaside fishing village of Yalikavak in Turkey is set to become even more popular for 2014. 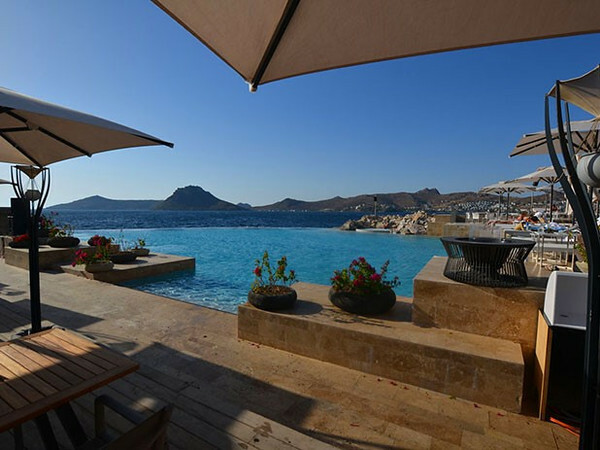 This stunning holiday destination on the Bodrum Penninsula is the place to be. Attracting the rich and famous, locals and families who have all fallen in love with the relaxed atmosphere and breathtaking scenery make Yalikavak Holiday Destinations in demand. Yalikavak is a picturesque coastal town on the Aegean located to the north west of the Bodrum Peninsula in Turkey, about 18 kilometres from Bodrum. 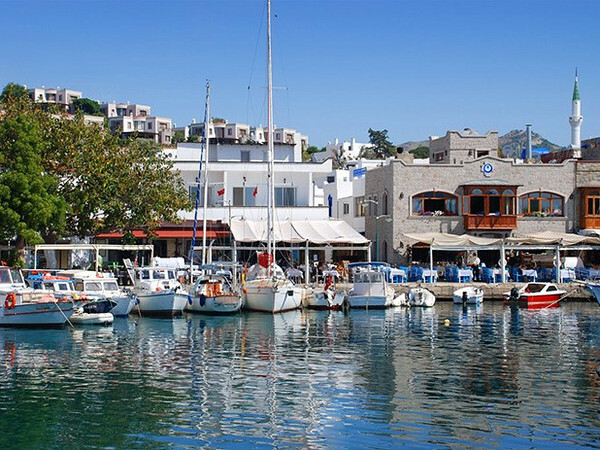 Initially, Yalikavak was a small fishing village and sponge diving community. 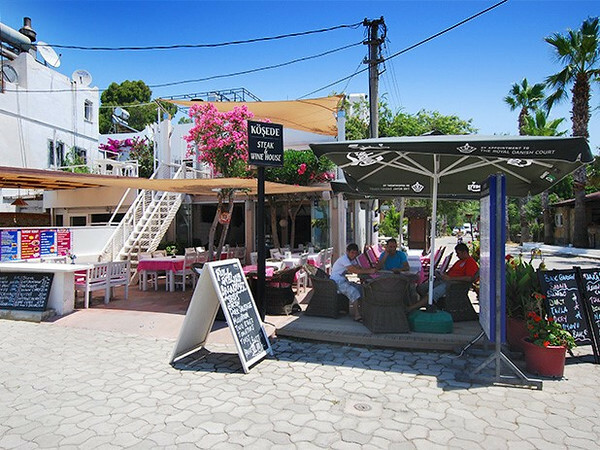 Over the years tourism developed in Yalikavak which saw many restaurants, bars and shops thrive in the village. 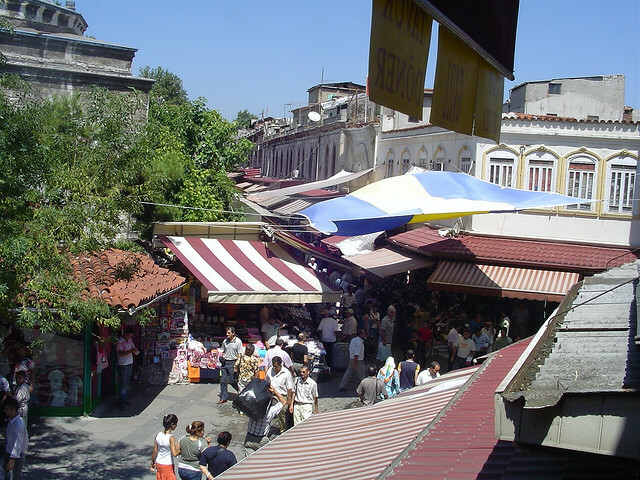 The Thursday market in Yalikavak soon became the largest market day in the area with a wide choice of goods and fresh produce to purchase. Yalikavak boasts blue flag beaches and attractive bays, set amongst hills with impressive panoramic views overlooking the town and across the Aegean Sea. Continued coverage in national newspapers including the Daily Mail and Marie Claire magazine often highlight this beautiful town and stunning area. It comes as no surprise Yalikavak Holiday Destinations have come under the spotlight for further ambitious development with its beautiful coastline and warm climate. The Summer of 2013 in Yalikavak had the glamorous opening of the much anticipated impressive Palmarina, this state-of-the-art purpose build marina housing super sized yachts including the likes of celebrity owners Giorgio Armani and George Michael. Palmarina is the only high capacity mega and giga super yacht port in Turkey. The marina has many designer shops, high-class restaurants and the jet-set ‘Billionaire Club’ with contemporary style, luxury and exciting atmosphere. The club was created by Italian Flavio Briatore better known as the manager of the Benetton Formula One racing team. The huge investment in the Palmarina has opened the door to a whole new clientele which will now attract the rich and famous. If you like celebrity spotting then this will be the place to go for Yalikavak Holiday Destinations! Amenities: Yalikavak even with all the new development at the marina has retained it charm and culture. The increase in tourism has seen many seaside restaurants and cafes emerge along the coast with plenty of shops housing a colorful selection of holiday souvenirs to purchase. Walking the cobbled streets between shops you will find many local men playing board games while enjoying a coffee during the afternoon. The old fishing port of Yalikavak has kept its charm with a good choice of established restaurants and cafes with sea views, and shops selling everything from Turkish delight to bucket and spades. 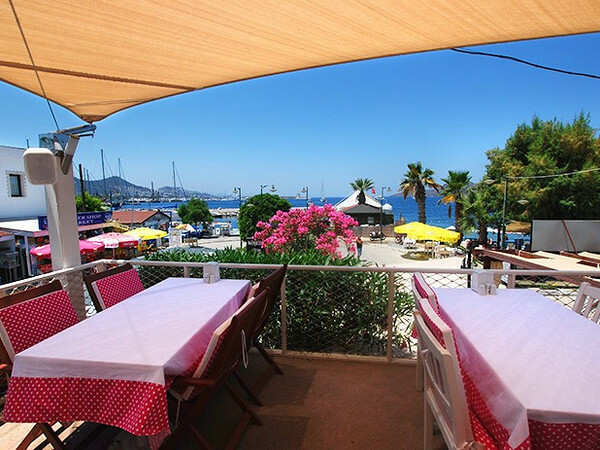 Eating out in Yalikavak Holiday Destinations in Turkey offers a superb choice of international dishes to choose from including traditional Turkish dishes to Greek, Italian, Indian or for the less adventurous the English breakfast! Fresh seafood is caught daily and friendly staff are always on had to help you make a good choice. Le Cafe Ristorante Italiano serves a really tasty pizza and also remarkable Indian dishes, and for a tropical escape The Secret Garden serves a wide choice of freshly cooked food at reasonable prices including Turkish dishes, fish, steak and proves to be popular with the locals. 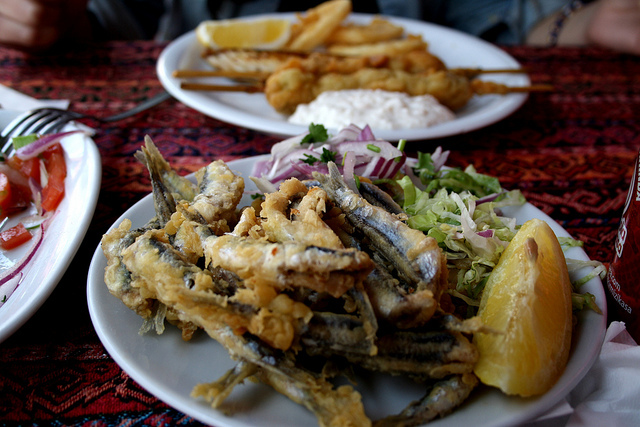 There’s plenty of choice and most restaurants cook traditional Turkish cuisine alongside mainstream international dishes. Yalikavak has many cash machines and even most bars will exchange currency at competitive rates. WiFi is easy to access with the majority of restaurants and bars offering this free service to entice you in for a drink or bite to eat. Visiting the beaches during your Yalikavak Holiday Destinations in Turkey are generally long and quite narrow. You will find plenty of comfortable sun loungers with parasols you can use for free if you purchase a drink from the nearest bar. 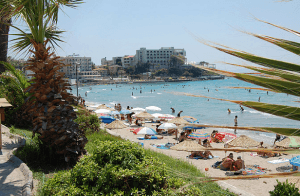 The beaches also have platforms leading out into the Aegean Sea, which are great for swimming in the calm warm waters or relaxing and topping up your tan while reading a book. If you like keeping fit the beachfront promenade has an outdoor gym and is ideal for jogging along the seafront. If that sounds too energetic why not enjoy a casual stroll along the promenade to working off your lunch. During the evenings you can watch the dramatic sunsets at Terras Bar, enjoy a few drinks and savor the beautiful views of the Yalikavak old harbor. If you fancy yourself as a potential X-Factor contestant then why not try your hand at Karaoke in Zorros. The newly built Palmarina is a short 10 minutes walk from the old town. The marina has many fine restaurants, cafes, patisseries, galleries, kids play area, a waterpark and more. As you would expect from the designer shops and international restaurants you will a pay little more for food and drink here but for a special meal and to enjoy the atmosphere it’s definitely worth a visit. 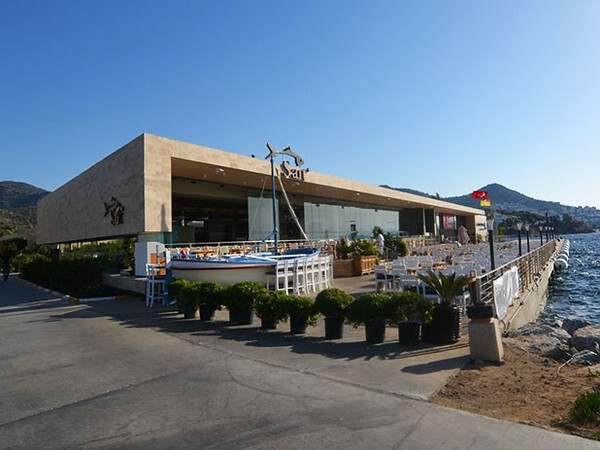 If you love seafood the Sait Fish Restaurant serves freshly caught fish and with its prominent position on the marina boasts excellent views over the Aegean. If you really want to experience the high life then a visit to the Lotus Beach Club is a must. You can swim in the beautiful infinity pool, take a dip in the Jacuzzi and relax on the giant sun loungers and watch the super yachts come and go from the marina. If you hire a sun lounger you can expect to pay £30 for the day. If you want to truly experience how the other half live then a visit to the Billionaire Club on the marina will be the highlight of your holiday. The grand opening in 2012 commenced with a magnificent firework display and a host of celebrity guests including Naomi Campbell and Heidi Klum. Spending money in here is not a problem as drinks are expensive. However, what price can you put on experiencing the open air dance floor and state-of-the-art sound system with the chance to mingle with the rich and famous. Activities: Exploring the beautiful coastline of Yalikavak is a great way to see some fantastic scenery and visit some of the little islands off the coast. Hiring a boat for your party of four will cost about 400 Turkish Lira, depending on the size of your boat. Boat trips include a cooked lunch and other refreshments can be purchased on-board. 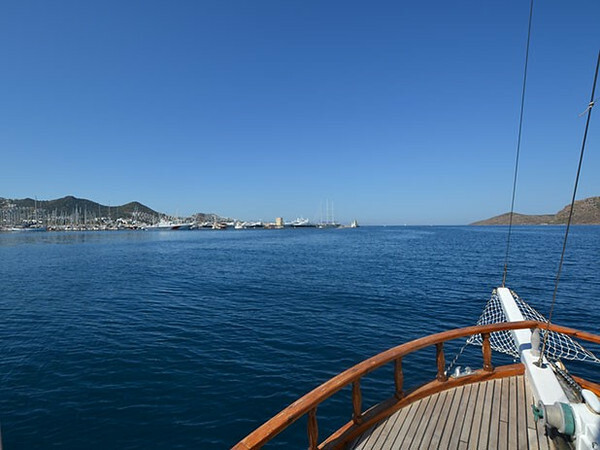 During the trip you can relax and stop off at places, jump off the boat into the crystal clear turquoise sea or just enjoy the relaxing views sailing around the coast. Trips tend to leave at 10am from the old port and return back for about 6pm, it’s a full day and be sure to take your sun lotion! No visit to Yalikavak is complete without a trip to the Thursday market. The choice of fresh colorful vegetables and fruit is astonishing, it’s worth stocking up and trying the freshly cut slices of melon on offer. 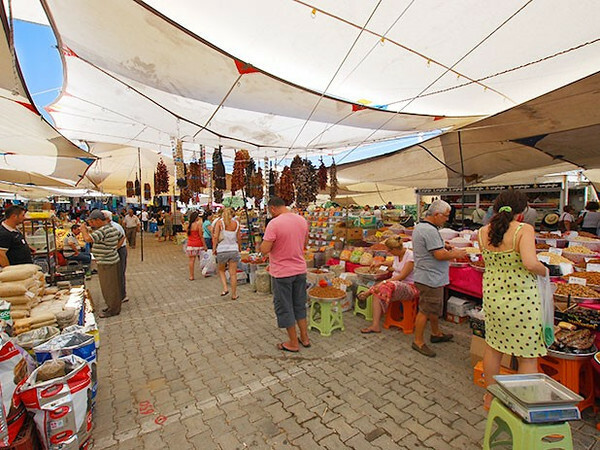 The market is the largest in the area with leather goods, jewelry, clothing, sunglasses, toys, herbs, spices and more. Make sure you haggle on your purchases for a better price and secure yourself a bargain! It’s an experience for your senses with so many colorful stalls, freshly good food and the sound of friendly banter. If you fancy a day or two away from Yalikavak then a short 20 minutes drive to Bodrum has a host of activities and things to see and do. The harbor and the Castle of St Peter are popular attractions and are well worth the visit. The castle offers stunning views overlooking the city and the marina. 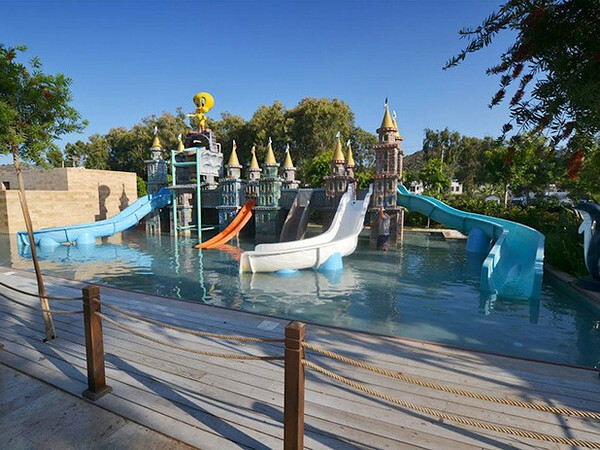 The Ortakent Waterpark in Bodrum is one of Turkey’s largest water and amusement parks covering an area of over 40,000 meters with 24 slides, a wave pool, children’s pool, restaurant and bar. It’s perfect for a fun day out for all the family. Shopping in Yalikavak is great as there are plenty of souvenir shops. There is a wide choice of colorful glass for candles, ornaments, handbags, turquoise and aqua jewelry and lots of boxes of Turkish delight. There is also an art gallery across from the mosque displaying the work from local artists. Near the old marina there is an ‘Art Alleyway’ where local artists display a selection of beautiful paintings. Be sure to pass by during the day or the evenings to see these, you can also purchase jewelry and leather goods from the small stalls here in the summer months. 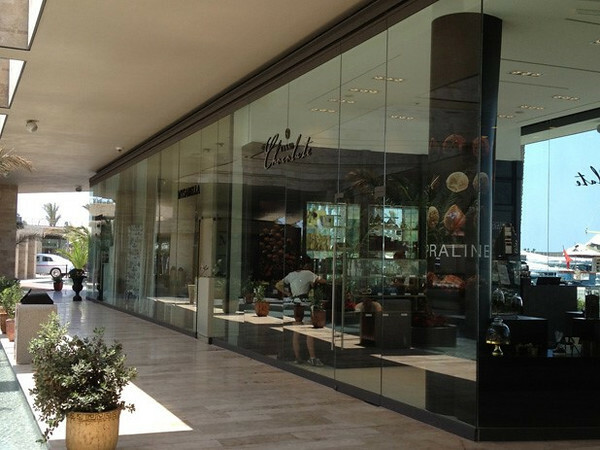 Yalikavak has grown over the years and recent investment has seen the Palmarina firmly put Yalikavak on the map and considerably raise its profile for the rich and famous. It remains a fantastic family holiday resort and will continue to do so. The balance of the old and new adds to the charm of Yalikavak and the warm friendly people and stunning views and weather make this a popular destination. A superb choice of holiday accommodation from apartments to luxury villas caters for budgets of all sizes. If you are lucky enough to visit Yalikavak try and explore some of the other surrounding seaside villages such as the World Heritage Site of Gumusluk. The resort of Gulturkbuku is also worth a visit, a well loved retreat for the Turkish rich and famous. Getting around in Yalikavak is easy as there are regular dolmus buses from the square theses are a cheap way of getting about and exploring the picturesque region. A holiday to Yalikavak is well worth a visit, treat you and your family for Yalikavak Holiday Destinations in Turkey and see why so many people visit year on year. Panoramic Villas have provided their opinion into the best location to go on holiday in the year of 2014. 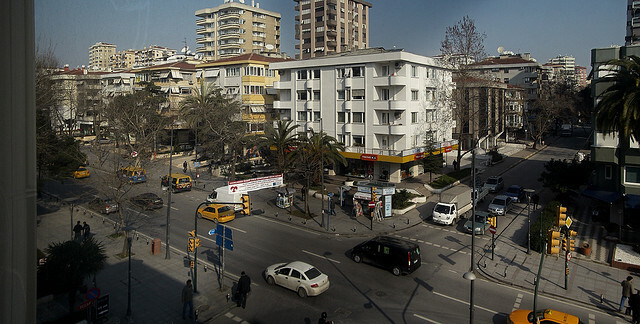 Visit the site for more useful travel information on Yalikavak Holiday Destinations. Turkey has it all: incredible beaches, stunning scenery, a rich heritage, great food and luxury accommodation, with fantastic value for money. Turkey attracts many repeat visitors, captivating those that travel to this beautiful and fascinating country and drawing them back year after year. In fact, Turkey is one of the top ten tourist destinations in the world, according to the country’s official tourism figures. What’s more, last year, the country’s resorts and destinations netted a large proportion of the first-place prizes at the World Travel Awards, securing 15 out of the 72 awards. Three times larger than Great Britain, Turkey offers visitors a diverse range of holiday options in resorts around its coast. However, if it’s luxury you’re after, you’ll find everything you’re looking for in the southwest in the districts of Bodrum and Antalya. The district of Bodrum in Aegean Turkey is home to many picturesque bays, while the attractive port city stands beneath an impressive 15th century castle. If you love bustling bazaars and exceptional shopping opportunities, you’ll have a great day out in the city. You can also enjoy discovering its rich and varied history, which was known as Halicarnassus of Caria and was the site of one of the Seven Wonders of the Ancient World – the Tomb of Mausolus, built around 350 BC. The area’s historical centers of Ephesus, Pamukkale and the UNESCO World Heritage Site of Hierapolis are day-trip destinations that aren’t to be missed. The best accommodation in the area can be found in the pine-covered hills around the peninsula’s turquoise bays and pebbly beaches, which are favored by lovers of water sports and relaxation in equal measure. 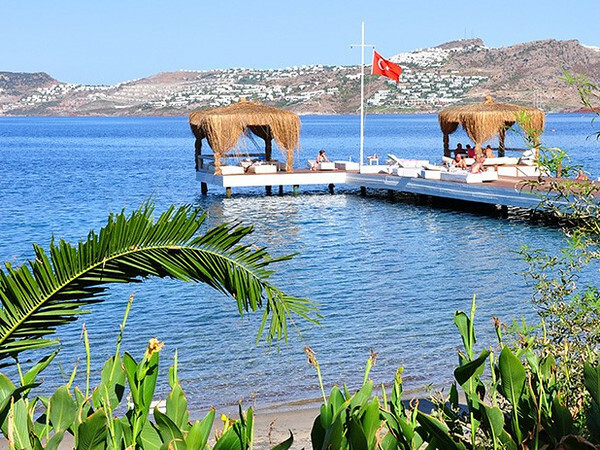 Among the best all-inclusive resorts in the area is Club Med Bodrum Palmiye, where you can stay in a bungalow set among hibiscus, laurel and olive trees. 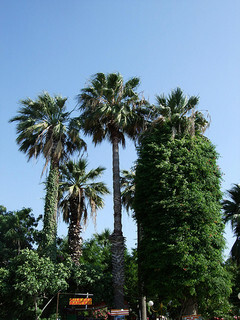 Antalya is a stunning combination of mountain scenery, sparkling Mediterranean Sea and pine forest. Home to miles of exceptional beaches with shallow waters, the area is popular with couples and a good choice for families with children. Meanwhile, the historic center of Kaleici, Hadriana’s Gate, the Roman ruins at Perge and the ancient theater of Aspendos are fascinating day trip destinations. The Belek region is famously home to nesting sea turtles as well as being a major destination for four and five star hotels and prime golf courses, making is a great place for a luxury break. The resort of Kemer, nestled beneath the imposing Taurus Mountains, is also a sound choice, especially for anyone looking to combine a beach break with some time in Istanbul. All inclusive holidays to Turkey are a great choice for holidays in Antalya, with accommodation options that include bungalows, superior hotel rooms and suites. But whichever luxury resort you go for, you’ll be glad you tried Turkey! Sounds Great but I will never go as the fact that I will probably stay there for a lllllllllllllllllloooooooooonnnnnnnnnnnnnngggggggggggggggggggg time!!! That’s so true Ktamacina. And guess what I’m in Turkey right now. So maybe I might see you. Chao!!! The Kusadasi – Pamukkale area is beautiful, but you have not really seen Turkey until you have gone inland. Of course, you must see Istanbul but it is a world unto itself. And Cappadocia is amazing- I live here and it never gets old even though the cave churches are ancient! Try to get out east if you are really adventurous and the Black Sea region is fascinating. Next trip stay for a month and see the country. I love Turkey! I wish I will be able to visit soon! This looks lovely! We are looking at going to Turkey this summer so going to look into the place more right now! Thanks for sharing, if you have any more recommendations for Turkey, let me know! After reading,It feels like I need to pack and just move to Turkey to feel it personally.I am traveller based in Nepal and in near future I intend to make so called :Go around the World” trip and such article helps me to list things which i should not miss. Such a nice blog. I really happy to read this blog. Such a great looks. I want to going to Turkey this summer so going to look into the place more right now! Thanks for sharing, if you have any more recommendations for Turkey, let me know! Kusadasi is one of the best sites in dubai. Must go to kusadasi when ever you travel to Turkey. It has great sites ,shopping marts etc…!!! i like this blog…Thanks for sharing….